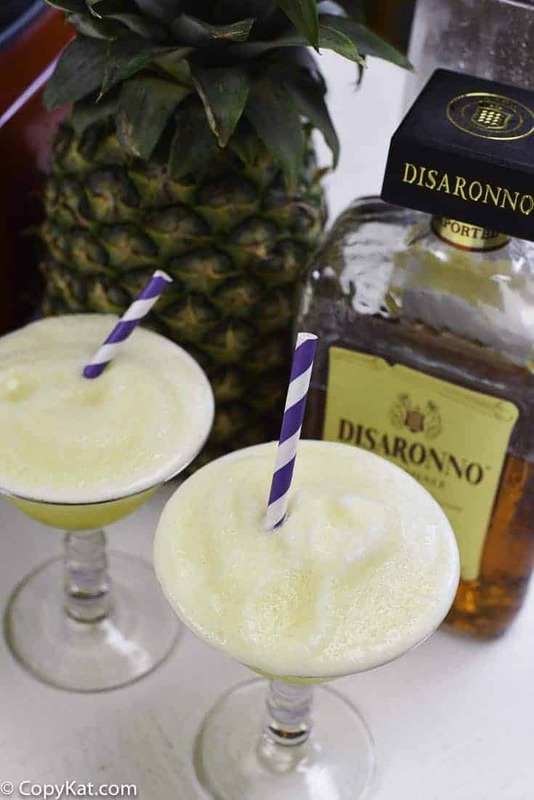 Do you love pineapple and amaretto? Did you know you can combine them together in one amazing cocktail? Love fruity cocktails? The Windjammer Freeze is for you, and it’s so easy to prepare. This drink literally has 3 ingredients. This has pineapple juice, amaretto, and ice. Does it get any simpler, no? I first had this cocktail in college, and it was amazing. One of my best friends and I went to a Pizza Hut that was shutting down their bar, so drinks were 75% off or something. They didn’t have much left, so after a lot of asking if they could make something, they could make a Windjammer. A Windjammer Freeze is basically pineapple juice with a touch of amaretto. So it’s sweet with a light flavoring of almond. I did add turning into a slushy drink because it tastes so much better during the summer when it is like a daquri. You could pour this over ice if you prefer. Do you love cocktails? Be sure to check out these cocktails. A windjammer freeze is the best combination of pineapple juice and amaretto. Combine all ingredients in a mixer and blend until the ice is crushed. Pour into glasses and serve immediately. A GOOD Amaretto, makes all the difference in the world – don’t get something cheap. I’d only use DiSarono brand. I absolutely love amaretto. I am sooooooooooooo making this one. Thanks and cheers! Could your cocktail be made without the booze? It sounds refreshing, but I do not drink alcohol. I am not certain what would replace the amaretto. 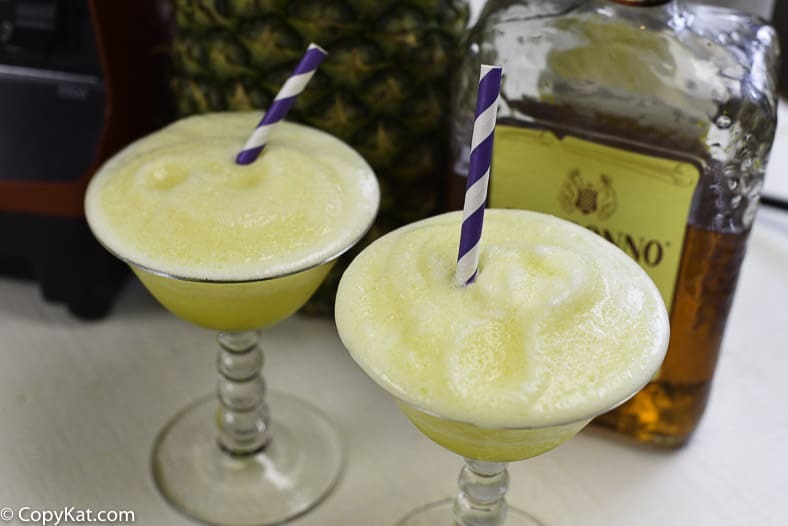 I am certain that the combination of pineapple juice and ice would stand on their own. Maybe you could add a little almond syrup like they would place in coffee. Amaretto, is almond. A good replacement would be 1/4 tsp almond extract, combined with a Tbsp sugar, or to taste. It wouldn’t take very much!